Since the release of the documentary Blackfish in 2013, millions around the world have focused on the plight of the orca, the most profitable and controversial display animal in history. Yet, until now, no historical account has explained how we came to care about killer whales in the first place. Drawing on interviews, official records, private archives, and his own family history, Jason M. Colby tells the exhilarating and often heartbreaking story of how people came to love the ocean's greatest predator. Historically reviled as dangerous pests, killer whales were dying by the hundreds, even thousands, by the 1950s--the victims of whalers, fishermen, and even the US military. In the Pacific Northwest, fishermen shot them, scientists harpooned them, and the Canadian government mounted a machine gun to eliminate them. But that all changed in 1965, when Seattle entrepreneur Ted Griffin became the first person to swim and perform with a captive killer whale. The show proved wildly popular, and he began capturing and selling others, including Sea World's first Shamu. Over the following decade, live display transformed views of Orcinus orca. The public embraced killer whales as charismatic and friendly, while scientists enjoyed their first access to live orcas. In the Pacific Northwest, these captive encounters reshaped regional values and helped drive environmental activism, including Greenpeace's anti-whaling campaigns. Yet even as Northwesterners taught the world to love whales, they came to oppose their captivity and to fight for the freedom of a marine predator that had become a regional icon. 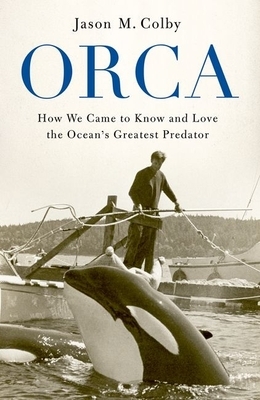 This is the definitive history of how the feared and despised "killer" became the beloved "orca"--and what that has meant for our relationship with the ocean and its creatures. Jason M. Colby is associate professor of environmental and international history at the University of Victoria. Born in Victoria, British Columbia, and raised in the Seattle area, he worked as a commercial fisherman in Alaska and Washington State. He is the author of The Business of Empire: United Fruit, Race, and US Expansion in Central America.